Should I teach English to adults or young learners? Indeed an important question to consider – should I teach English to adults or young learners? Both are completely different jobs, requiring very different teaching skills, lesson planning and even personalities. While in some teaching jobs in China you will be teaching both young learners and adults, a lot of language schools specialize in either one or the other. In this article I will highlight 3 advantages for teaching young learners and adults as well as 2 challenges for each. Bear in mind, young learners cover everyone from as young as 3 years old right up to late teens so there are clearly differences there too. Firstly, there are a whole lot more jobs out there for teaching young learners than there are for adults. 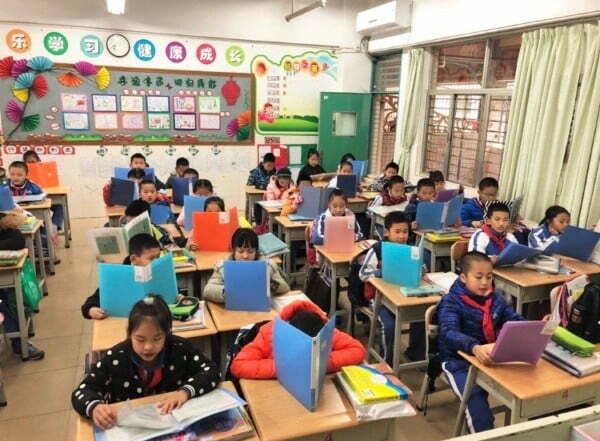 Kids are all learning English in their regular schools in China as well as attending language schools in the evenings or weekends so the demand for teachers is enormous. If you choose to teach kids, you will have a lot more options to choose from. Young learner classes are typically more action packed, with much more variety than adult classes. Teachers are encouraged to make use of English language based games, songs, videos, drama, storytelling, drawing and a whole host of other fun stuff to keep the students engaged and motivated. Their attention spans are a lot shorter and therefore it is essential the teacher brings in creative and fresh ideas to keep the class interesting. Especially at the younger ages and low levels the progress the students make can be really impressive. Students starting off with zero English will be stringing short sentences together and using the language taught in the course quickly. Often kids will attend a language school for a number of years and it’s common for them to stay with the same teacher for 2 or 3 semesters or more so you really get to see them progress and improve which is very rewarding. Even if they switch to another teacher, you will run into them in the school and be amazed at how far they have come. Kids are kids and they can be naughty, lazy or just not in the mood to learn. Classroom management can be more of a challenge with kids than adults and it’s important that you have clear, fair and consistent rules as well as some tricks up your sleeve to deal with the rogue agents. Building a good rapport with your students from day one is very important with young learners. Kids definitely have a shorter attention span than adults. It’s the teachers job to make sure there is plenty of variety in the lesson, lots of different interactions, chances to get up and move around. One fun activity might go down very well the first few times but don’t expect it to have the same effect forever. Constantly bringing in fresh ideas and creative approaches will really help. Generally speaking adult students will have a better level of English and therefore there are more opportunities for juicy discussions and real conversations. Topics covered in the lesson will be more relevant to your life too and this can mean a more interesting experience for the teacher. Often your adult students are studying English for a specific reason, either they have to use English at work for meetings and phone calls with foreigners or plan to travel abroad or communicate more with their foreign friends. So every lesson they have with you will be directly applicable to their daily lives, whereas kids may be not using the English they learn ‘for real’ until later on in life. Usually adult classes have less students per class than young learners. In public schools kids classes can be 30 to 50 students per class and in language schools between 10 to 20, whereas adult classes tend to be from 3 to 12 students. There are clear advantages in having a small group size – easier classroom management, more time to spend with each student to get to know their learning style and problems they are having. Adult lessons will always have a grammar part to them and teachers need a solid understanding of the point being taught in order to explain it effectively. While kids classes do also have grammar points they are often less technical and require less detailed explanation. While teachers aren’t expected to be a walking grammar book they do have to be able to explain the areas being taught clearly. Adults will have paid for the class themselves and will have certain expectations of what they will learn and how fast they will progress. Teachers often have to manage those expectations as well as ensure the students can clearly see what they have learned through informing them of lesson aims, skills acquired or the use of learning journals for example.